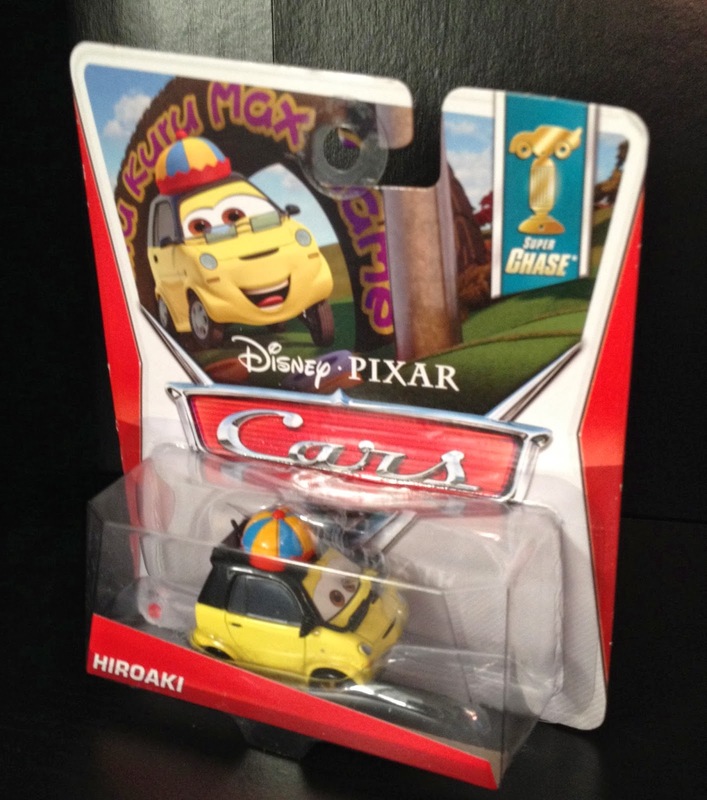 Here is the Movie Moments Mike and Sulley 2-Pack from the Cars "supercharged" line! 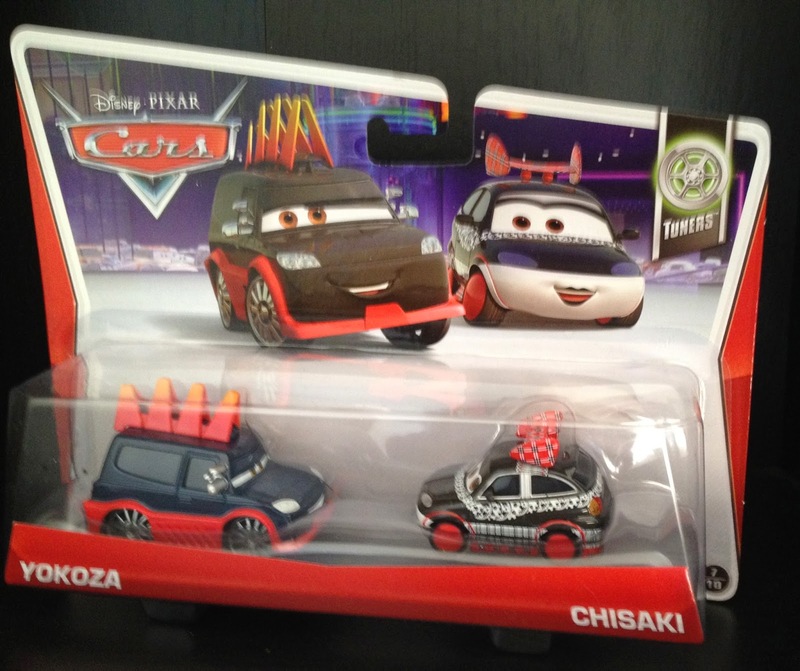 I absoulutey love these cars...such a great set! 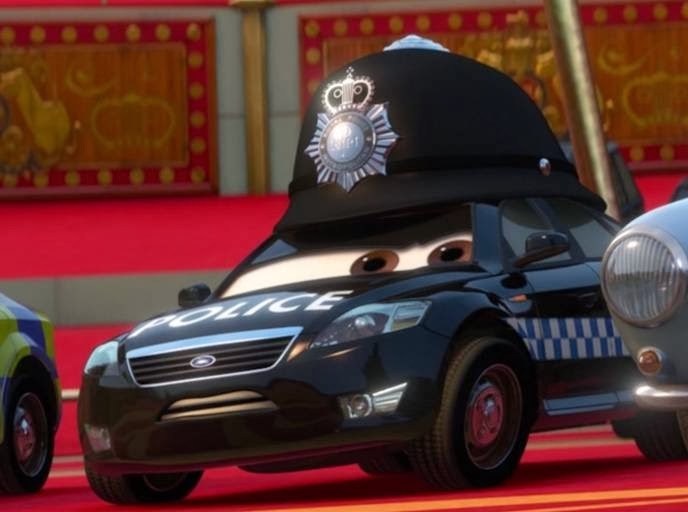 One of the funniest and most creative scenes in Cars is during the end credits when the cars are at the Radiator Springs Drive-In Theater. 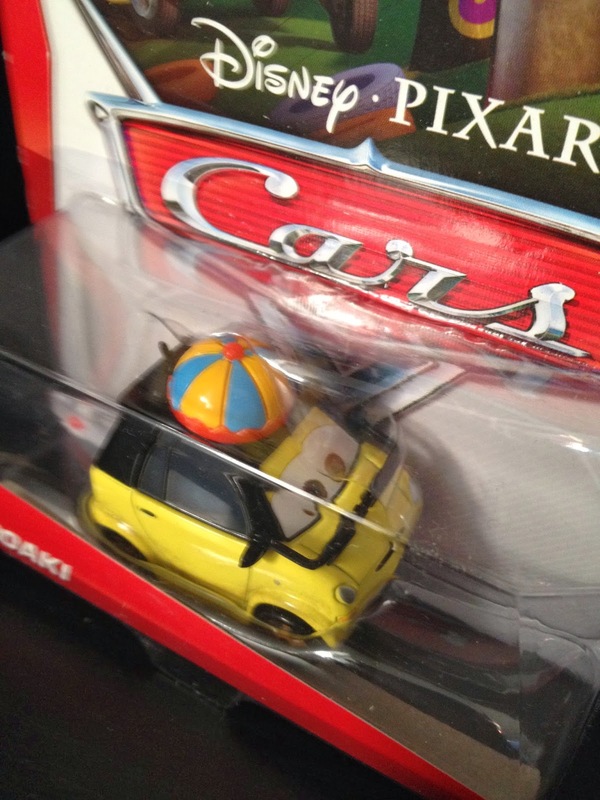 There we see many of our favorite Pixar characters in car form such as Buzz, Woody, Hamm, PT Flea, Flik, the Circus Clowns, the Yeti, and, of course, Mike and Sulley! The scene is hilarious because it pokes fun at how John Ratzenberger has had a cameo in every single Pixar film. The scene can be watched Here. Never gets old! 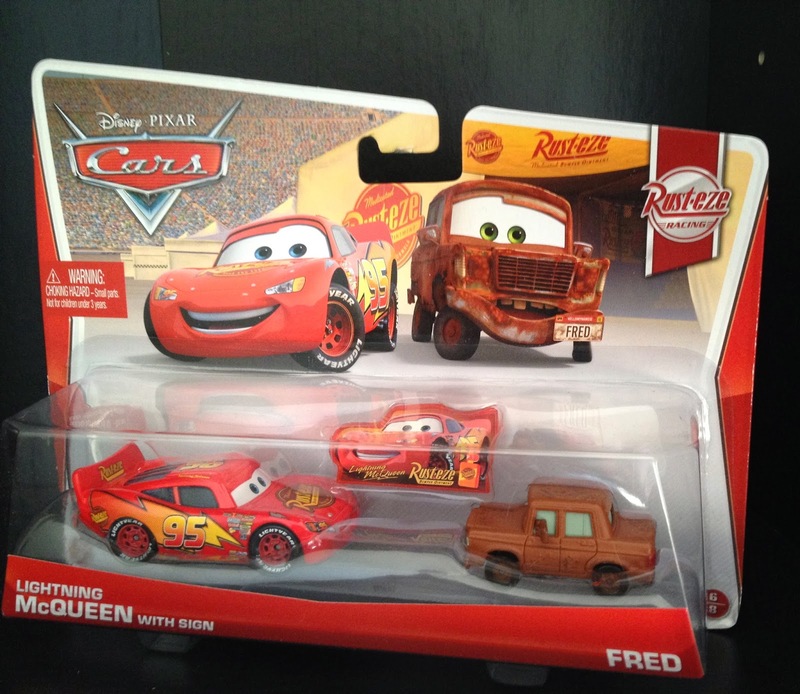 As of 2014, with the "Circus Cars" being released as Super Chases, Mattel has made every character from that scene...I'll be posting more soon, so stay tuned! 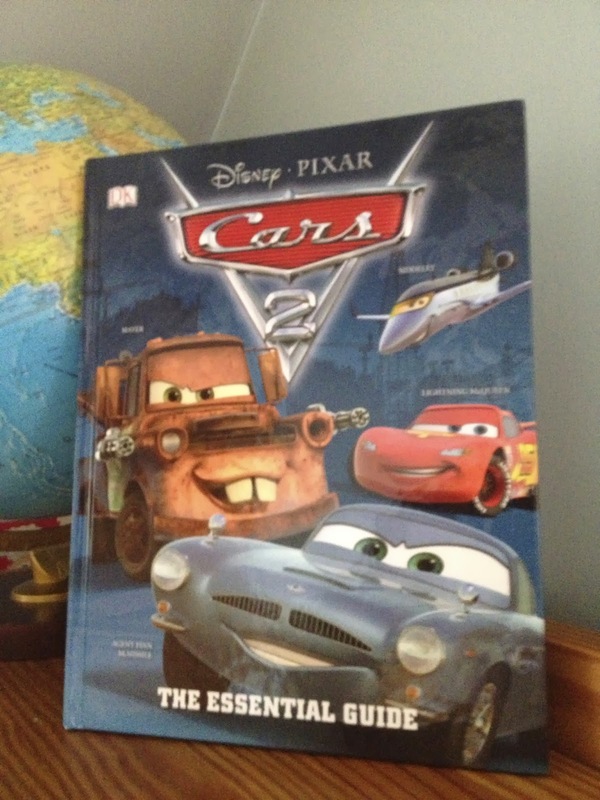 Since I was little, I always liked the DK publishing's "Essential Guide" books to all my favorite movies...Pixar films are of course no exception! They're always chock-full of lots of fun info about characters, plot points, props, fun trivia ("Did you know?" facts), quotes, stats and much more! These books are great for learning so many things about the films that you might not get from just watching them. There are essential guides for every Pixar film except A Bug's Life. Stay tuned for the Toy Story/Toy Story 2 guide to be posted here very soon! Check out my "Books" label to the right to see my other posts on some of the great Pixar books I've collected so far. Thanks for visiting today! 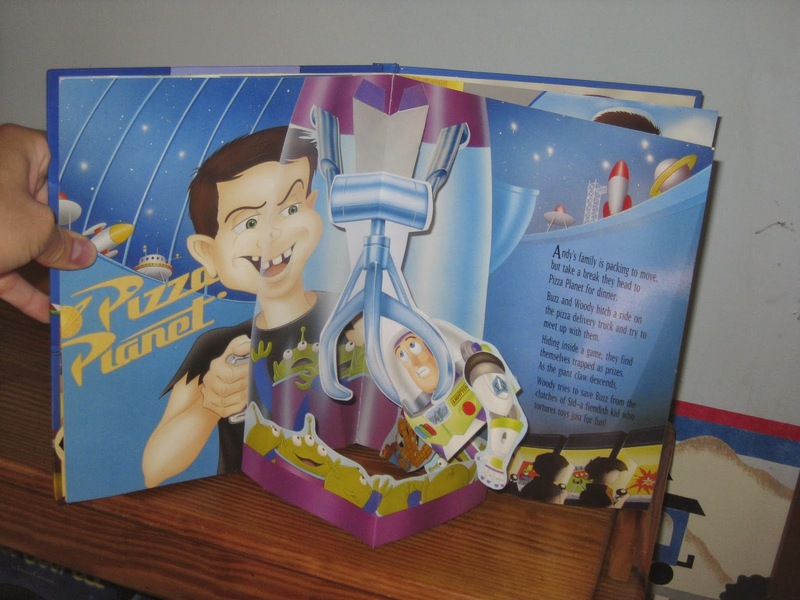 When I was little, I LOVED pop-up books. What kid doesn't? Not gonna lie though...I still love pop-up books! When I was home this summer, I went through all my old books trying to find anything Pixar related. 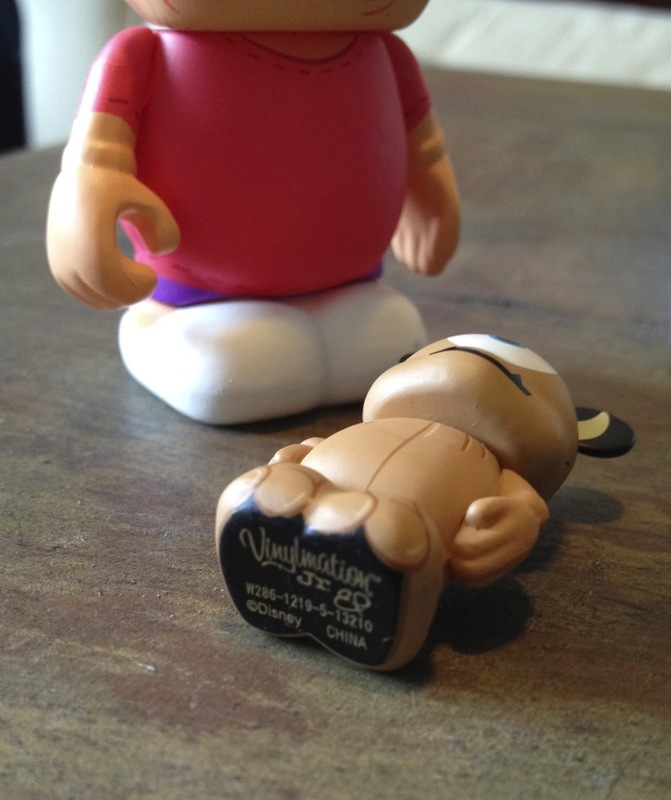 I was thrilled when I found this one, I had totally forgotten about it! As soon as I saw it I remembered it and it brought back a ton of memories as I looked through it again. 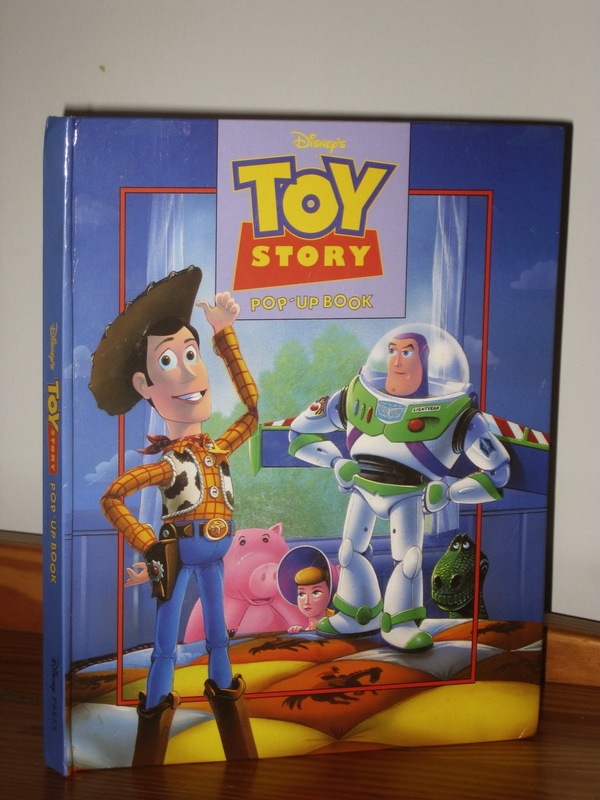 This is my original 1995 Toy Story pop-up book that I got when the movie first came out. As I looked through the pages, I was amazed to find out this book is still in great condition after all these years. Pop-up books are hard to keep nice (especially how little kids handle them) and I found only very minor tearing on maybe a page or two. This book takes you through the story of the film in ten pop-up pages. Some pages even have some interactive tabs to make characters move and such. Very cool! You can find this book NEW currently on eBay for an insanely good price HERE. Hurry though! There's only seven days left for the listing. To buy this book NEW on Amazon would be about $100, so I would snag it on eBay if you have the chance. Amazon does have some USED ones for sale but those are very questionable as far as quality-especially for a pop-up book that's this old. 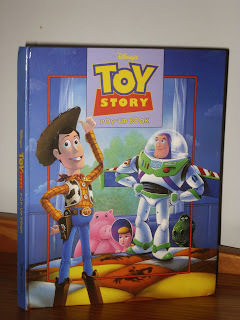 This is a great book for you Toy Story fans out there. I would definitely get this if you haven't already. 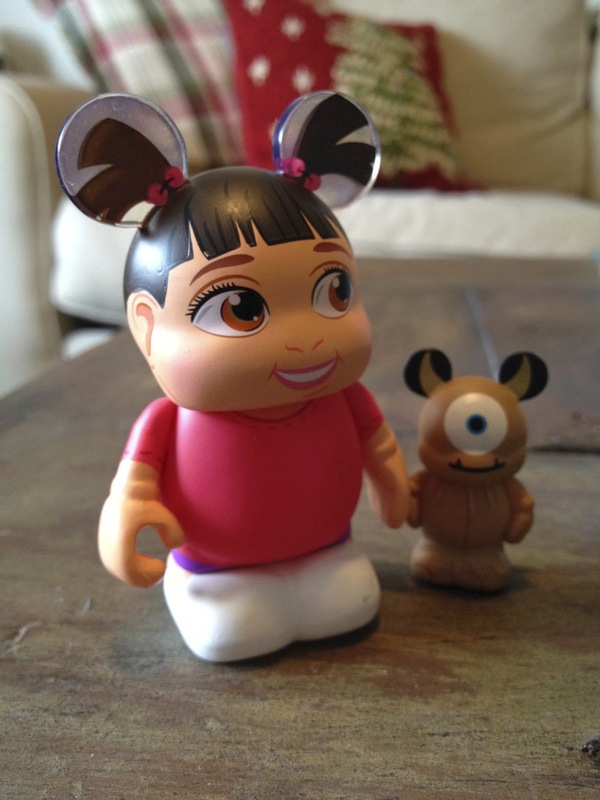 Monsters University: Walmart Exlcusive "Monster Minis" PAGE UPDATE! Welcome! 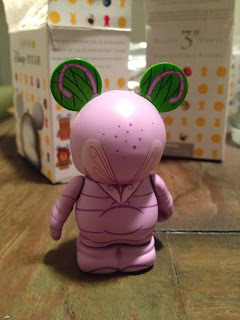 Today's post is a page update to the Walmart Exclusive "Monster Minis" post from back in June. 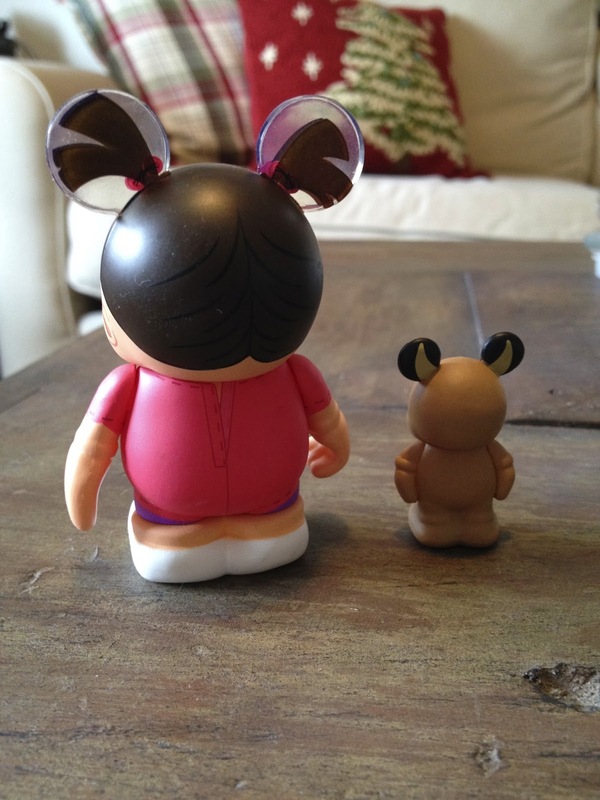 I just got this new 20-figure set today which adds 10 new characters to the collection... Visit the original post HERE and scroll down to see the update! 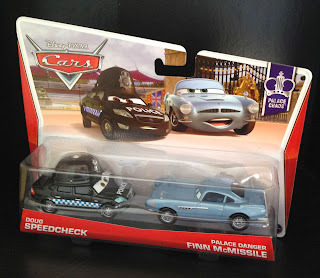 Here is another Cars 2 vehicle from Mattel's 1:55 scale line of cars, Stephenson the Spy Train! This is a pretty cool toy that acts as a vehicle character as well as a "spy lab" playset. 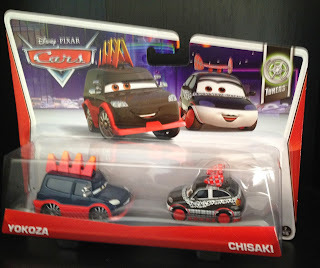 Although not diecast metal (this train is plastic and comes with one plastic Mater), it's meant for use with the diecast line of cars. I haven't opened this so I don't have any pictures of it loose, but when I do, it will be fun to display all of the Mater disguise diecasts with it (Dracula, Funny Car, Taco Truck and Materhosen) to re-create the scene from the film! Stephenson was a Walmart exclusive back in 2011 when Cars 2 first came out, but is still easy to find on Ebay and Amazon for about $15-$20. I would absolutely recommend tracking this down if you haven't already-especially if you're a completest trying to get every character from Cars 2! 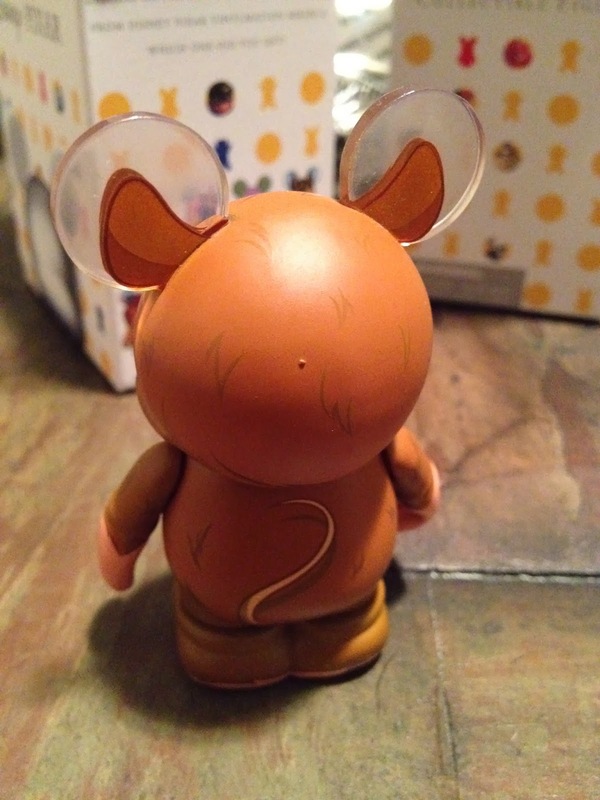 Last night UPS came with an anticipated package from the Disney Store...my first three blind box Vinylmations from the Pixar Series 2! 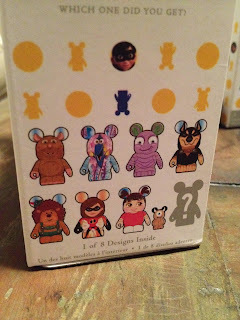 It's always a super exciting time opening "blind box" Vinylmations, as you have no idea who you're gonna get. And here they are! 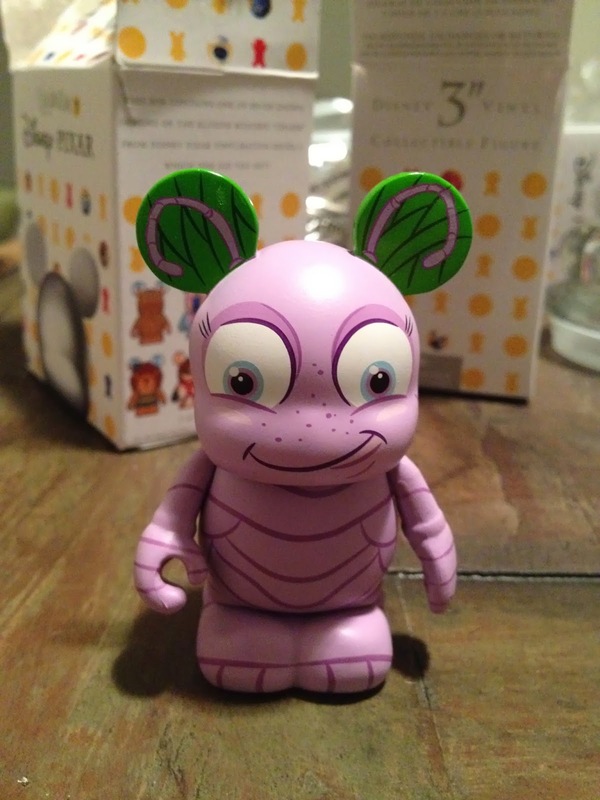 I got Emile from Ratatouille, my personal favorite (one of the ones I was really hoping for) Dory from Finding Nemo and Dot from A Bug's Life. 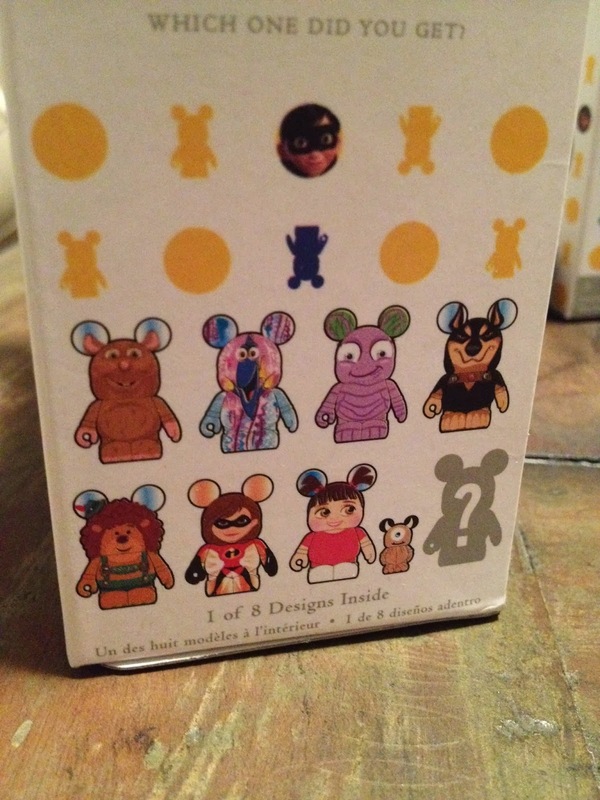 The remaining four can be seen on the box above and then of course the last one is always the "mystery chaser", which this time is the Witch from Brave. Hoping to get that one for sure! There is also a Mrs. 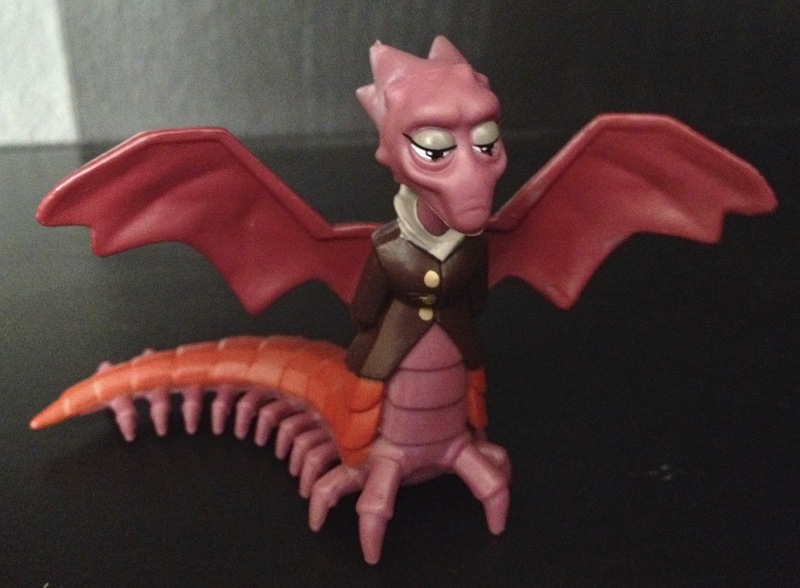 Incredible variant which is her in her retro "Elastigirl" suite (which is even more hard to find then the chaser). And of course a huge thanks to my parents for sending these over for a little Thanksgiving present since I'm Thankful for Pixar (that was my excuse to connect these to Thanksgiving)! YES! 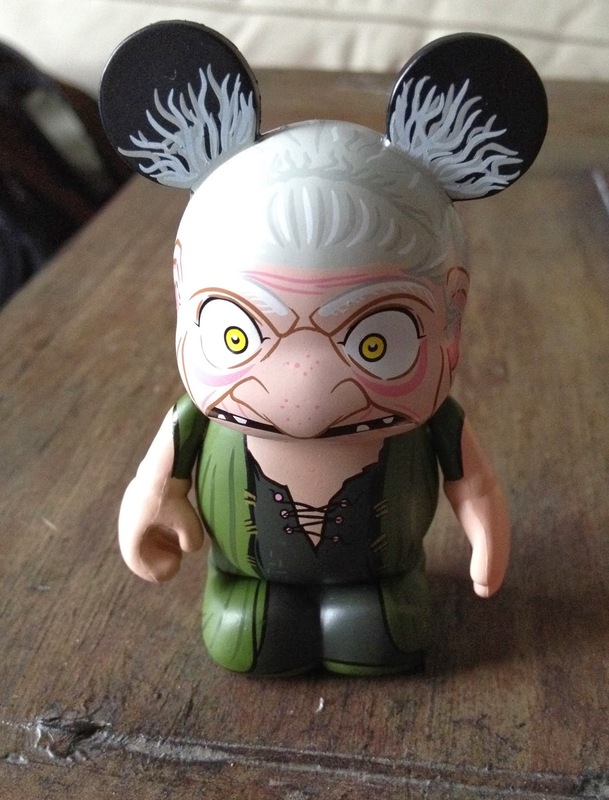 I was able to tracked down the chaser in this collection...the Witch from Brave! Very cool choice, yet unexpected choice for the chaser character. 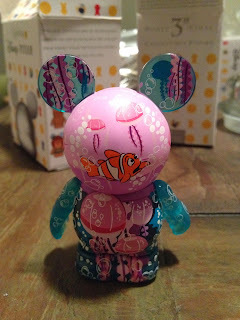 It has a great design and great detail, as always! 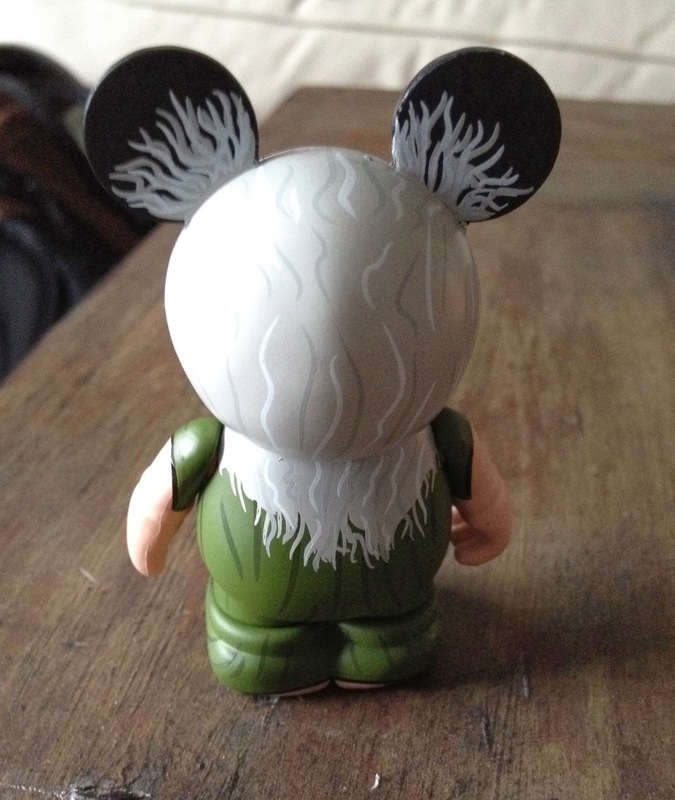 It will look great with the other Vinylmations from Brave-Merida, the triplets and Fergus. For Christmas I was lucky enough to have gotten the whole rest of this series from my parents so stay tuned for more updates soon! Here is Alpha from Up! Another Christmas surprise...this one came from a good friend Brian Hughes, so I have to give him a big thanks for sending this over to me! 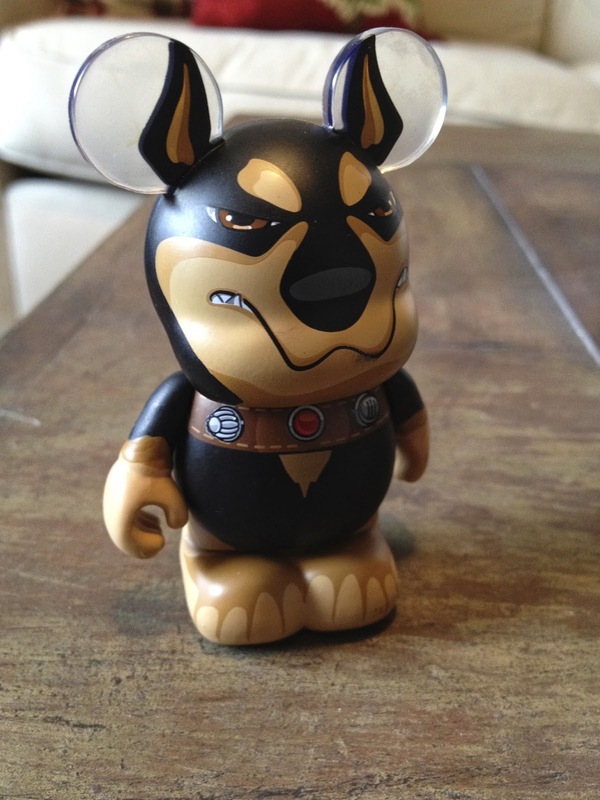 This one goes great with the Dug Vinylmation from Series 1 and has a similar style. Alpha, I think, is one of the most hilarious parts about Up...his personality combined with the high voice from the broken collar gets me every time. This is a very welcome addition to the collection. 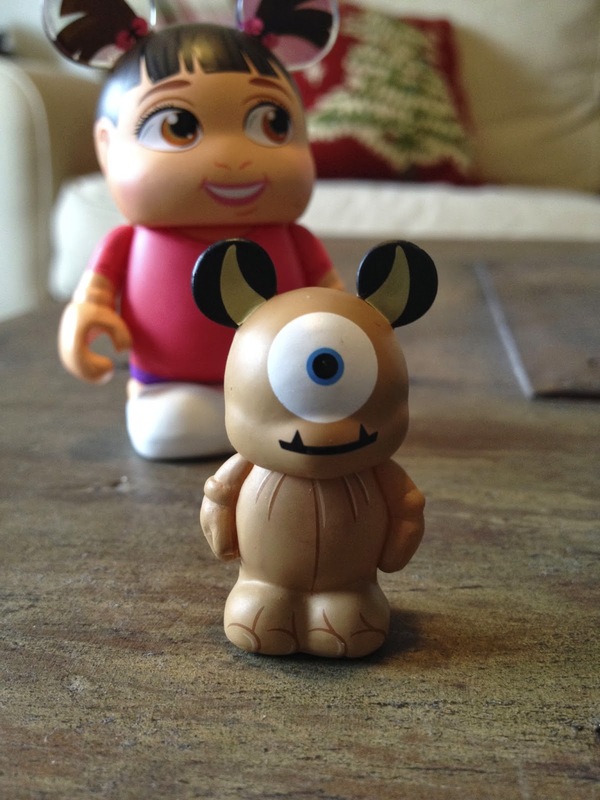 For Christmas from my parents I was surprised with a whole bunch of unexpected Vinylmation...one of them was the Boo and Little Mikey 2-pack! I believe this is the first 3" blind box Vinylmation to include a second one within the box. Boo here goes great with Mike from the first Pixar Series and I can't wait to see if more Vinylmations get made from Monsters Inc. Could a Pixar Series 3 be in development? I would love to see Monsters Inc. get its own series of 8 or 12 actually! The characters that would make my list if a Monsters Inc. Series was made would be Mike and Sulley with MI hard hats, Roz, the Yeti, Randall, Fungus, Celia, Needleman, Smitty, George Sanderson, Waternoose and Boo in her monster costume as the chaser. What are your thoughts? Who would you like to see made? Leave a comment below! Thanks once again for stopping by and exploring my collection. Be sure to check back daily for more and stay tuned for many updates to come! Happy Groundhog Day and Super Bowl Sunday! Here we have the Mrs. 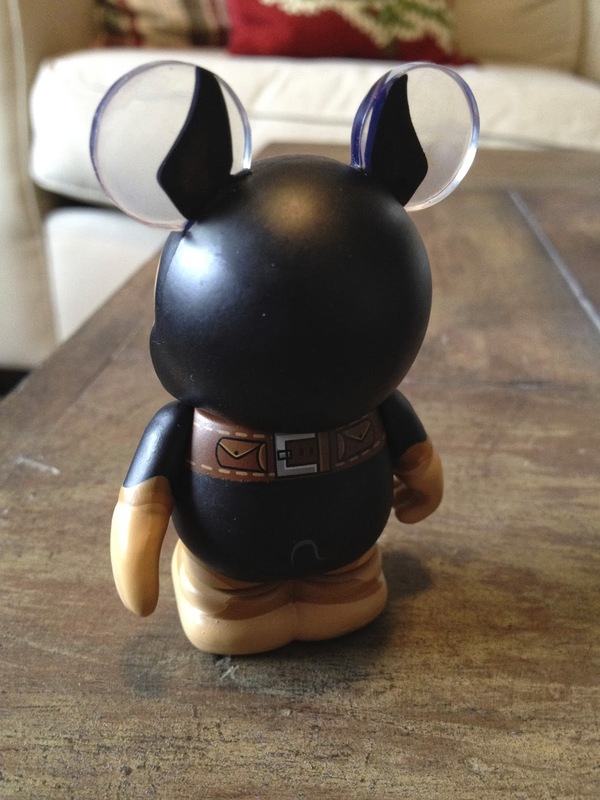 Incredible Vinylmation with its clever design. Some people don't like it, but I think she looks great paired with Mr. Incredible from Series 1 (see my Instagram account)! Of course, as you may know, there is another Mrs. Incredible in the series as well...the elusive and rare "Elastigirl" variant (wearing the costume from the movie's opening). 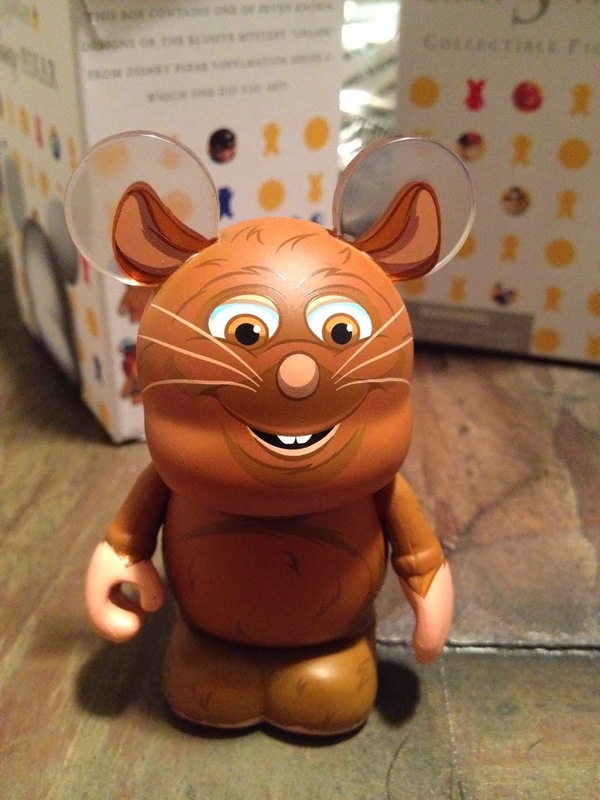 For those of you who aren't familiar, the "variant" is not the chaser but even more hard to find and is a variation on a character from the main series. It is unknown exactly how many of these "variants" are made, but what we do know is...not many. 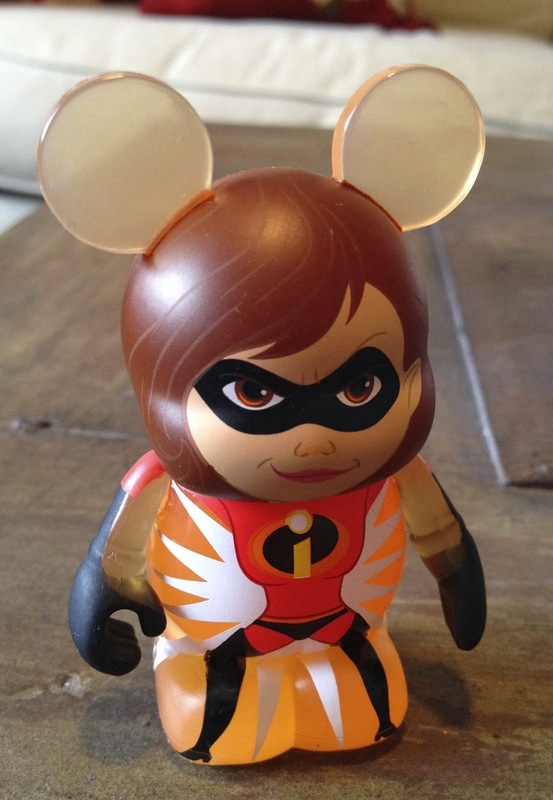 Some people have been lucky enough to find the Elastigirl one (seen here) but I'm not one of them. If you've been lucky enough to get it, let me know in the comments below! 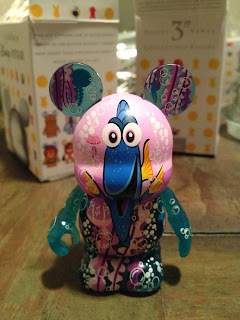 I love hearing Vinylmation success stories. 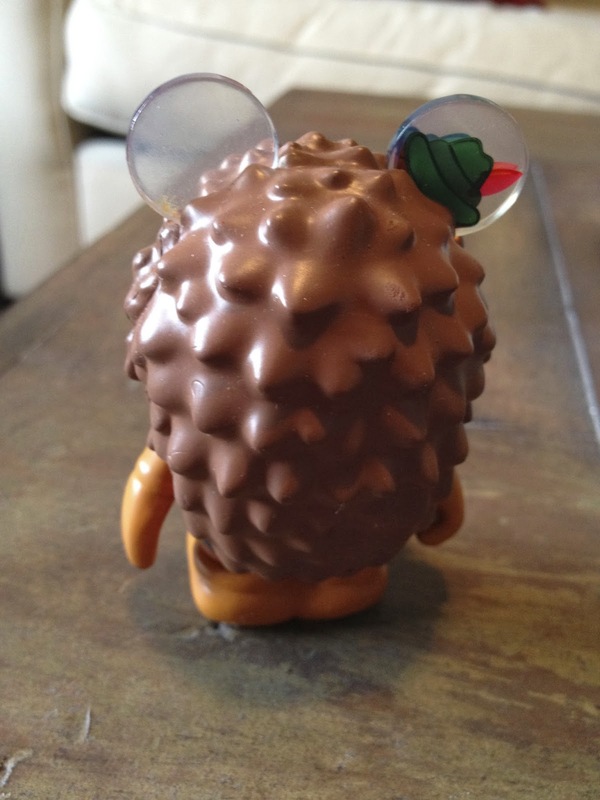 And here it is...the last character I needed to complete my Pixar Series 2 Vinylmation collection...Mr. Pricklepants! This may be my favorite one in this series; I just love the design of this guy. 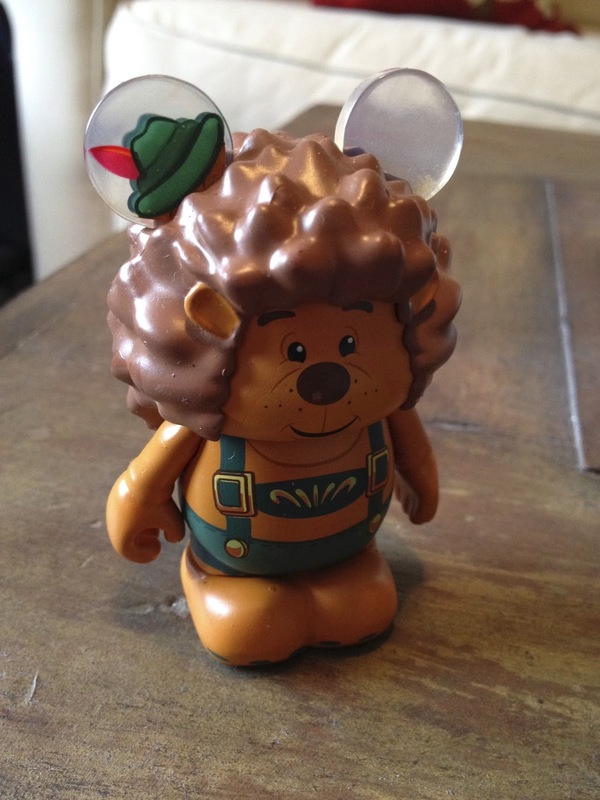 I'm a big fan of how they incorporated his quills on his head/back (it's actually a softer, rubbery material rather than the harder vinyl) and his German hat off to the side of the ear. He also, of course, goes fantastic with the Toy Story Series 1 Vinylmation and Chuckles the clown from the Pixar Series 1. I'm REALLY excited for the second Toy Story Series this year and continue to speculate who might be included in the line-up. 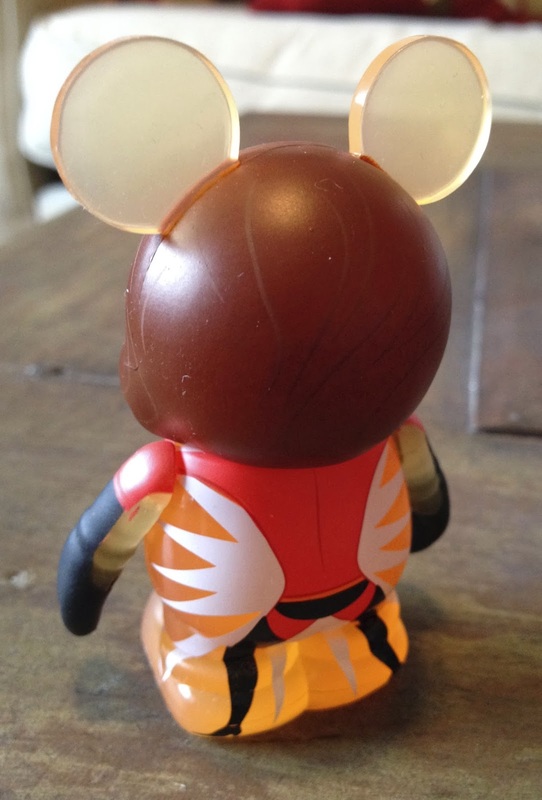 For more talk and speculation on who YOU would hope to see in the Toy Story Series 2, visit the Pixar Post Forum and join the discussion. Again, a BIG thanks for this amazing Christmas surprise from my parents. I was not expecting them to get the rest of this series for me!